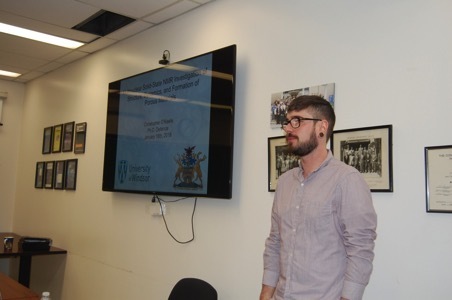 Congratulations to Dr. Chris O'Keefe! 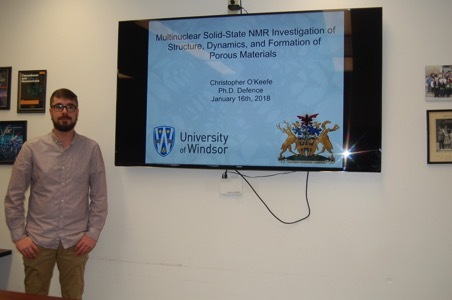 On Tues. Feb. 16, Chris successfully defended his Ph.D. thesis, "Multinuclear Solid-State NMR Investigation of Structure, Dynamics, and Formation of Porous Materials". 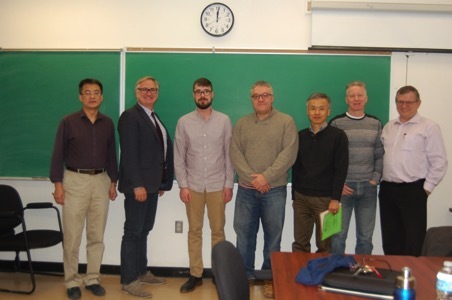 Prof. Jeffrey Reimer (Berkeley) was his external examiner. 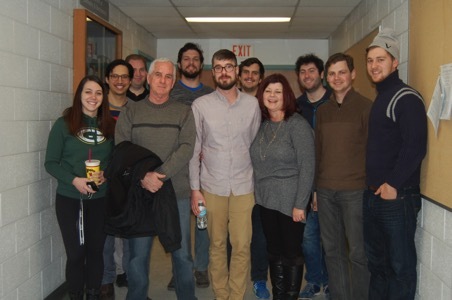 Thanks to all of the committee members, and Chris' family and friends for showing up! 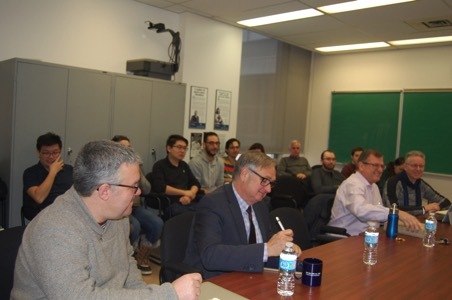 Thanks also to Prof. Reimer for an excellent seminar on carbon capture!